Francis Ambrose Ridley was an active Marxist and secularist. He was a weekly denizen of Speaker’s Corner at Hyde Park in London for 40 years, from 1925 onward, and was editor of The Freethinker 1951-1954, and President of the National Secular Society 1951-1963. Ridley had strong connections with Leicester Secular Society, since there are two portraits of him in prominent place on the walls of the Library, which has the title ‘The F. A. Ridley Room’ above the door. He gave the Society’s Anniversary Lecture in 1982 on ‘The Crisis of the Papacy’ and in 1985 on ‘Spartacus and Jesus: The Social Origins of Christianity’. Ridley was a Marxist in the 1930s, and was involved in a famous disagreement with Trotsky, but his subsequent attitudes to communism seem to be disputed. 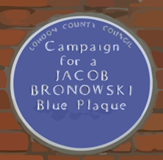 He was also involved with the Independent Labour Party from the 1940s onward, but it ceased to be a party, and became Independent Labour Publications, in 1975.